Numerous studies conclude that eating a rich and varied diet, that provides good nutrients, protects us from illness and disease and fundamentally, this starts with good vascular health; in other words the health and integrity of your veins and arteries which consequently impacts your heart health. However understanding exactly how eating certain foods can actually impact your health is not always clear. Our body is made up of a system of blood vessels; arteries and veins and maintaining their integrity will help to reduce the risk of developing vascular disease, particularly as we age. These vessels are designed to carry nutrient rich blood around the body and good circulation is vital. Increased cholesterol levels can cause fatty deposits, or plaques, to build up inside our arteries, over time narrowing the arteries and restricting blood flow to your heart and other important organs. This can potentially cause a pain in your chest (angina). If one of the plaques inside your arteries bursts, it can cause a blood clot, cutting off the blood supply to your heart, resulting in a heart attack. If it cuts off the blood supply to your brain, it can cause a stroke. Whilst unhealthy lifestyle choices, such as smoking and lack of exercise play an important role in increasing this risk, the foods you eat will have a direct impact on reducing the risk of poor vascular health and consequently your heart health. Keeping your weight, cholesterol and blood pressure all under control is key and will also help to prevent the build up of fatty deposits in your arteries. An unhealthy diet can lead to atherosclerosis; the process of fatty plaque build up your arteries, which will slow or block the flow of blood to and from the vessels. Cholesterol is an important fatty substance, or lipid, essential for our body’s cell membranes and hormone production. It is made in the liver but also found in a number of foods. Insoluble in water; it is carried throughout the body by attaching itself to proteins, and called lipoproteins when combined. There are two relevant types of lipoproteins: LDL and HDL cholesterol. Typically referred to as ‘good’ cholesterol, these help to prevent cholesterol build-up in the blood vessels, by transporting cholesterol to the liver from the tissues, where it is safely broken down and removed. Often referred to as ‘bad’ cholesterol, these transport cholesterol around your body from your liver to wherever it is needed. However, if LDL levels are too high, it can be deposited in the arteries, thus increasing the risk of stroke and heart disease. 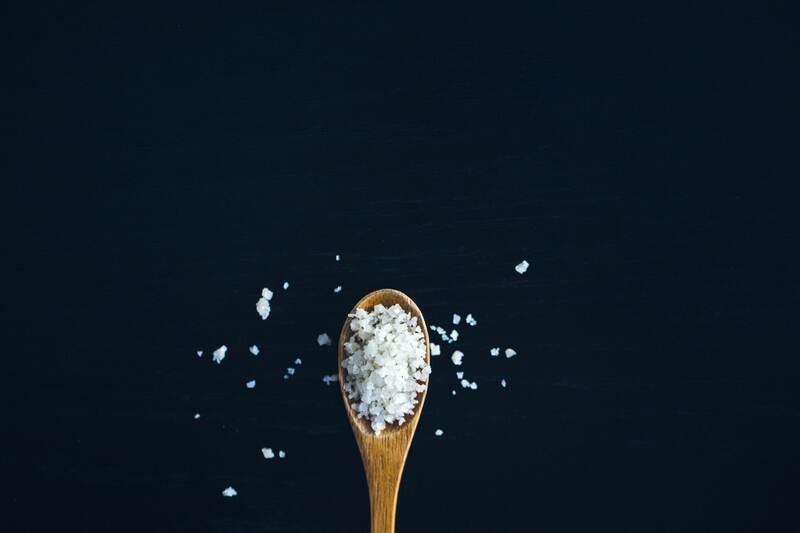 Too much salt will contribute to high blood pressure, causing more stress on the arteries and eventually weakening them. Reduce the risk of vascular disease and opt for alternative ingredients to add flavour to your meals with strong spices and herbs or lemon juice. 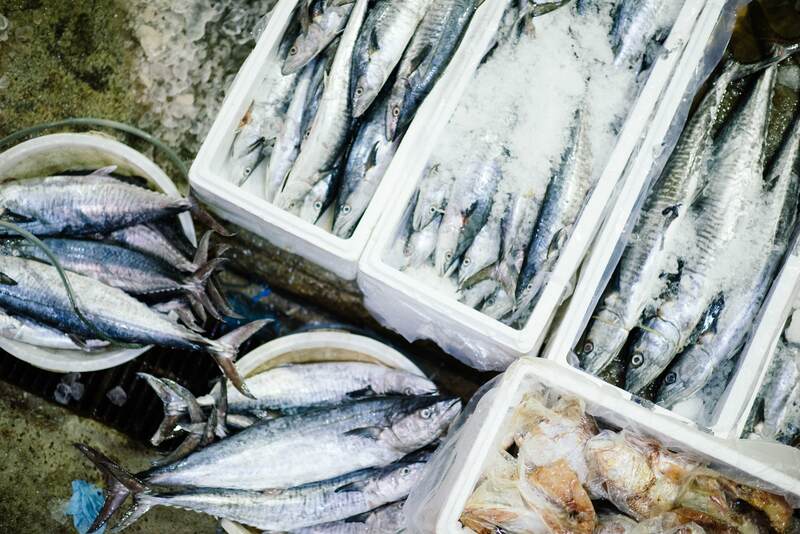 Increase good cholesterol by eating more oily fish such as Salmon, Herring and Mackerel. These are rich in anti-inflammatory omega-3s and will help support a healthy balance of LDLs vs HDLs and therefore boost heart health. A recent study published in the British Medical Journal has prompted a change in thinking….saturated fats are no longer the villain. 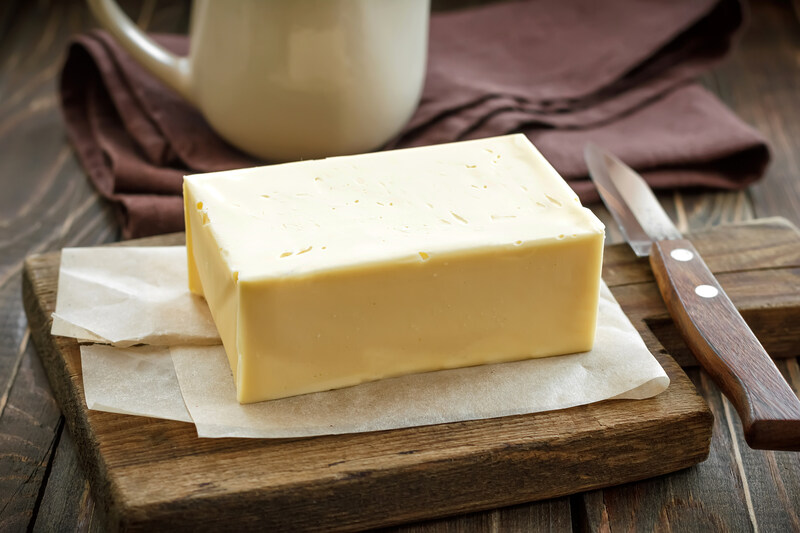 The study revealed that those who avoided butter, a saturated fat, in favour of healthy spread alternatives may indeed have noted a drop in cholesterol levels, but this didn’t necessarily translate into a lower risk of heart disease. There is now plenty of evidence that total fat or even dietary cholesterol is not linked to heart disease. In fact, in the US, the 2015 Dietary Guidelines actually removed any limits on fats and dietary cholesterol as it was no longer a “nutrient of concern”. It is more important to focus on the choosing the right type of dietary fats rather than reducing total fat, as well as a key focus on whole, nutrient dense foods and healthy diet and lifestyle patterns. This is good news for all those who love butter – me included! As a saturated fat, it was deemed an unhealthy choice but more recently, butter is back in vogue with sales growing by 4% a year. 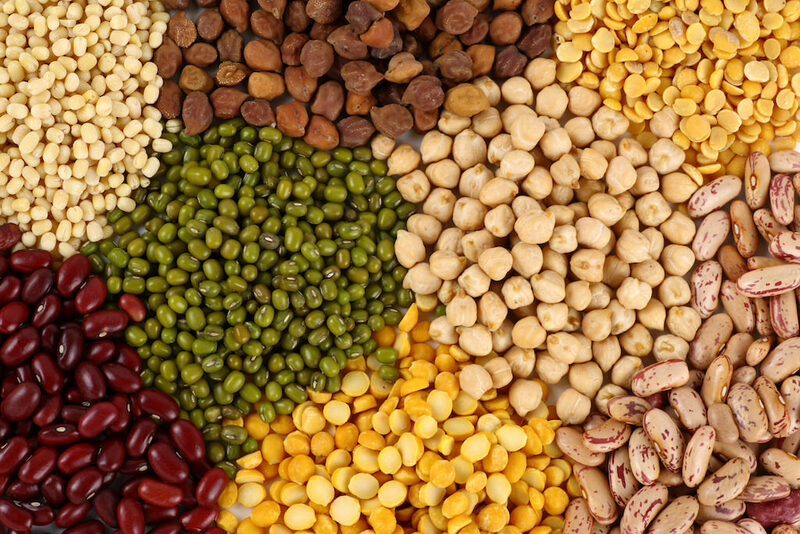 Soluble and Insoluble fibre found in beans, pulses and wholegrains will help to remove excess cholesterol from the blood and therefore prevent fatty plaque build up and boost your heart health. Eating more plant-based proteins such as lentils and quinoa are ideal choices. Eating at least 7 portions of vegetables and fruits a day will provide an array of vitamins and minerals essential for optimal overall health and can have a significant impact on improving heart health. 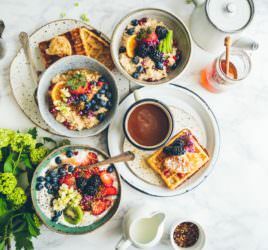 The food we eat is a basic and fundamental part of our lives and provides our bodies with the information and ingredients for us to function properly. Without this correct information, the processes that take place in our body are compromised and as a result our health declines. 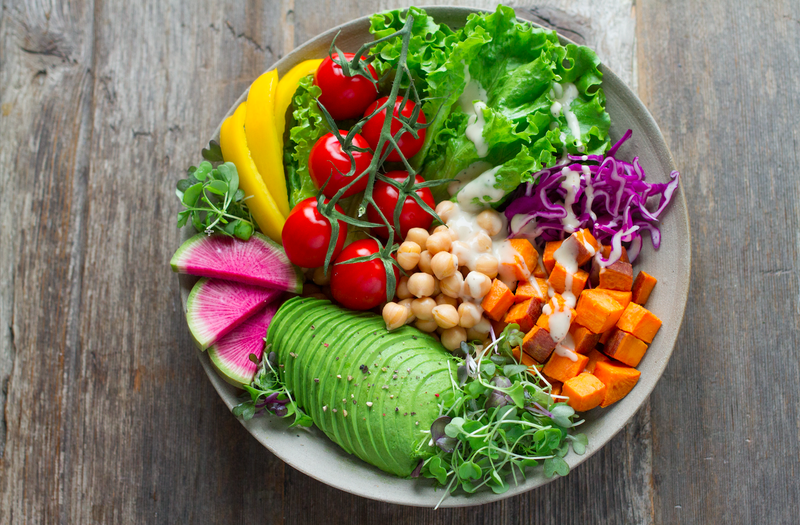 Eating nutrient-dense meals that are quick and easy to prepare is easier than you think and making great choices can seriously boost your health. Oats contain soluble fibre that can reduce the absorption of cholesterol into your blood stream and therefore can reduce overall levels of LDL “bad” cholesterol. 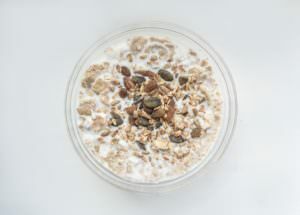 Eating simple oats on a daily basis; just one cup can have an effect. Topping it with fruits and nuts adds more fibre to your diet, keeping your cholesterol levels in check, reducing the risk of developing vascular disease and also helping to manage your weight by keeping you full and satiated. It’s a winner all round!! Here’s a great high protein recipe for Overnight Oats (or Bircher Muesli) that you can prep in advance and enjoy all week. Top Tip: Whilst this can be made with any milk, cow’s milk will provide the highest level of satiating protein. Recent evidence now suggests that that there is no need to restrict eating eggs if you’re worried about increasing cholesterol levels. They are high in good cholesterol and you can safely include 2 eggs per day as part of a healthy balanced diet to help protect your vascular health. Aside from their incredible nutritional profile, they are versatile, quick and easy to prepare, convenient, inexpensive and the ultimate comfort food! 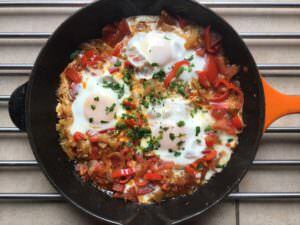 Here’s a recipe for a delicious Spicy Shakshuka, that combines eggs with antioxidant-rich red peppers; perfect for a family brunch or light lunch/supper. Top Tip: Add a splash of balsamic vinegar to the pepper and tomato mixture for a extra flavour boost. 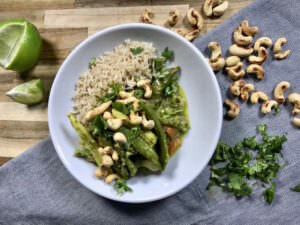 This vegetable packed Thai Green Curry provides plenty of fibre to reduce the amount of cholesterol in the bloodstream, as cholesterol attaches to the fibre and is transported directly to the liver, where it can be safely removed. Preparing a Thai curry from scratch doesn’t have to be complicated and with just 3 main ingredients to provide a full authentic flavour, this vegetable packed recipe will provide plenty of fibre to help keep a health cholesterol balance. TOP TIP: This curry works equally well as a vegan option; simply replace the chicken with Tofu and add a variety of vegetables. 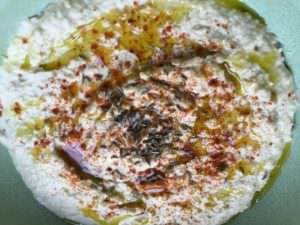 Try this Spicy Cumin and Garlic Hummus for a delicious combination of fibre-rich chickpeas and tahini, a sesame seed paste rich in good fats. Boost further by serving with raw vegetable crudités.